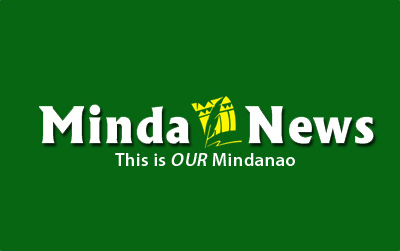 DAVAO CITY (MindaNews / 08 May) — My candidate in tomorrow’s election is the Filipino people. And am pretty sure they will be the runaway winner. Notwithstanding the alarm hyped by some personalities including high government officials and leaders of the Catholic Church peddling the canard that democracy is gravely at stake in this elections and the people are being taken for a ride by a presidential frontrunner. Indeed, May 9 is becoming one of, if not, the most divisive, corrosive and polarizing poll exercise this country has ever seen. It does not help that some media behemoths seem to be fanning this unease. This smacks of patronizing at best. Even then, I believe whatever the result of these elections, our people will eventually emerge the better of it. And depending on who is elected and how he or she will eventually turn out to be, the Filipino people will either experience a catharsis, a collective sigh of relief, or liberation from the shackles of the status quo. The Filipino people will prevail because whatever happens, it will be the result of their democratic right to choose our leaders. We will get the candidate we choose and deserve. Our deepest longings or worst fears will come to pass. But we will not stop there. We will embrace positive change and reject any betrayal. All five presidential and six vice- presidential candidates have been exposed enough to the electorate baring either their halos, horns, forked or uncouth tongues, hollow or brilliant minds, plastic, condescending or candid emotions, numb or bleeding hearts—their warts and all. Their conduct during the campaign period has showed us who they are. Their respective platforms- or avowed lack of it—have been laid bare for us all to decipher. Certainly, the presidential and vice-presidential debates organized by the COMELEC produced a certain level playing field of sorts. We know by now who among them have inspired or disappointed. Who are more of the same and who has tapped into our aspirations. We know who were just pandering to our hopes and those who genuinely want to serve. We know who are merely ambitious and who are out to wield power for the greater good. We know who are for authentic and systemic change, for just peace in our land, and who will not paper over but address the roots of our country’s blight. We now know who are the trapos, elitists, clowns, tacticians, strategists or potential Machiavellians. We know who has instilled fear or vision among our quizzical and otherwise desperate denizens. We know who will be beholden to powerful individuals, interest groups or who has political will. The Filipino voter is not dumb. The Filipino voter is not reckless. They will know if some PCOS machines will mysteriously work some magic come Election Day. They will know if there is an attempt to prime them for an incredible election result. They know by now who is running for office to genuinely lead and serve them selflessly to progress and who among them has all or nothing to lose. They will know who is running for selfish and shadowy interests. They will know if one is truly deserving of our sacred vote. The Filipino voter’s choice may turn out to be not being the “proper” choice, but it will still be their choice. And I trust that if they discover that their choice turns out to be a dud or will go awry; the Filipino will know what to do. Whoever wins for President: Binay, Defensor, Duterte, Poe or Roxas, the Filipino people will have a new leader. And if this President turns his or her back on those who voted him or her into office, or will turn out to be the same as those who previously promise almost everything under the sun and come out wanting, or trample over their rights and preside over the disembowelment of our society, the Filipino people will eventually remedy the situation. I am sure the Filipino people will not allow themselves or their rights to be run roughshod by anyone, even if she or he is the leader of the land– even if they were the ones who chose him or her– whatever righteous or bold intentions this leader may have had. The Filipino will know what to do. Like what they did at EDSA I. And in EDSA II. They will not need anyone who fancies himself to be their knight in shining armor to egg them on what to do. The Filipino will also ensure that there will be fiscalizers to whoever wins the Presidency. My hope is to see a Walden Bello, a Neri Colmenares, a Risa Hontiveros and the return of TG Guingona in the Senate to balance and neutralize the comedians, boxers and dynasts in that already diminished institution. There is no cause to fret. Monday will unleash the genius of the Filipino. Monday will be a watermark in the continuing evolution of our young nation. Monday will show the world—and ourselves—that we are capable of rising above the din, the fray, the discords, the pain and the veritable circus that we’ve been through in this vicious campaign. Tomorrow will show that we can indeed rise, yes, above ourselves.